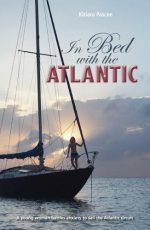 Once a high-end stockbroker, Bendall chucked her opulent lifestyle for a simpler, self-sufficient dream: the (mostly) single-handed sailing life. 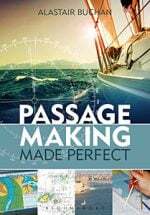 Her inspiring story features entertaining anecdotes, challenges faced, heartwarming successes, and just plain adventure onboard her 46-foot cutter "Precious Metal". The description in the extended title is rather disingenuous. 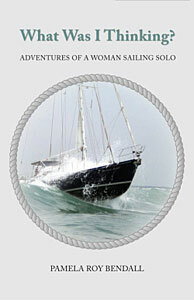 Pamela doesn’t, in fact, do any solo sailing until page 152. 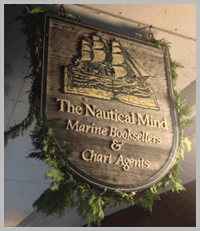 She circumnavigates Vancouver Island and sails south to Mexico, fully crewed by very competent friends and associates. She does, however, sail a thousand miles on her own, accompanied all the time by a competent friend in a catamaran, who provides advice via a VHF radio. This thousand-mile voyage takes a year and, as far as I can determine, she never actually sails for more than a few hours at a time. The phrase, ‘What was I thinking’ will have the average reader tearing their hair out long before the end of the book. I haven’t counted but I estimate it is repeated somewhere in the order of two hundred times in the narrative. 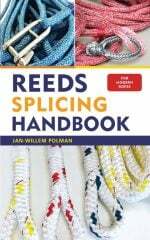 Occasionally, it is interspersed with, ‘What was he thinking’, ‘What were they thinking’ and “What was she thinking’ For a veteran sailor, she makes some rather odd comments, like ‘Knots per hour’ and describes how a yachtsman’s ‘Anchor was dragging his boat to shore’. There is a whole chapter about her wiring being fried by a lightning strike. ‘Precious Metal’ is a forty six foot steel-hulled vessel with a metal, keel-stepped mast and steel rigging. We are supposed to believe the lighting avoided all these targets and chose to whizz up her exhaust pipe, selectively frying only the low current circuits. She admits her wiring loom had fallen on the hot engine which, to my mind, is a much more prosaic and accurate explanation. “Simple life” is not how I would describe a custom built, luxury yacht, complete with every convenience, probably costing in excess of half a million dollars at the very least. 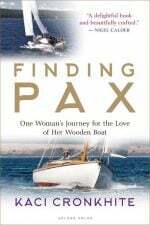 Whilst circumnavigating Vancouver Island, she provisioned her boat and flew in her friends by privately chartering float planes. Pamela’s privileged background becomes apparent when she denigrates the honest, hard working fishermen in Port Hardy by calling them smelly and at odds with her designer clothes and Chanel number five. 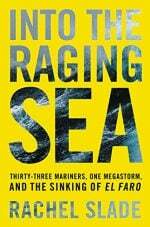 In South America, she castigates the local residents’ inability to clean her engine room after the ‘Lightning strike’ even though she is only paying them twenty dollars a day. 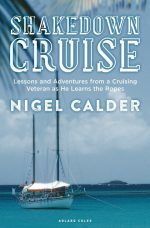 The book is basically an account of sailing, fully crewed, from one ‘prestigious’ yacht club to another. 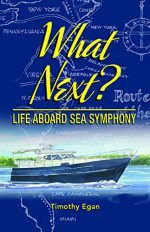 In summation, I would say there is nothing in this book for the average yachtsman, nor are there any tips and wrinkles that would benefit a newcomer to the sport and lifestyle. One is often left cringing at some of the gaffs, highly irritated at the phrase, ‘What was I thinking’ and appalled at her contempt for those that are less than privileged. 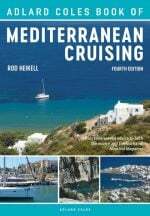 There are many excellent books on sailing and living aboard. Unfortunately, this isn’t one of them. I wish that i could give it less stars. I met Pamela at the Toronto boat show in January. Her pitch was helping under privileged children in Mexico.